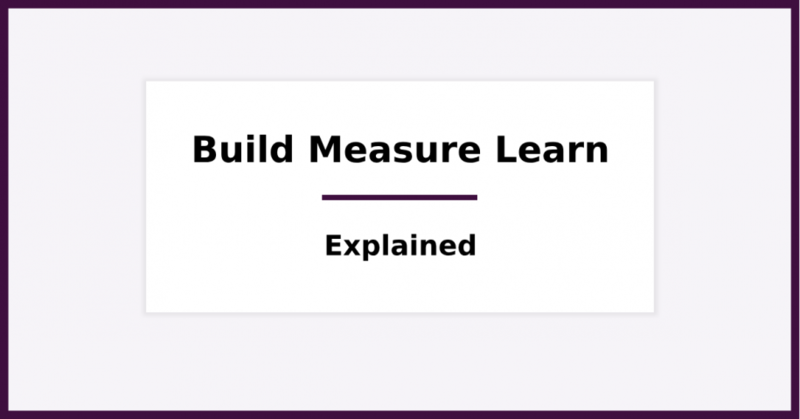 Wondering what the Build Measure Learn Model is? It’s a business model, that is an integral part of the Lean Startup methodology. 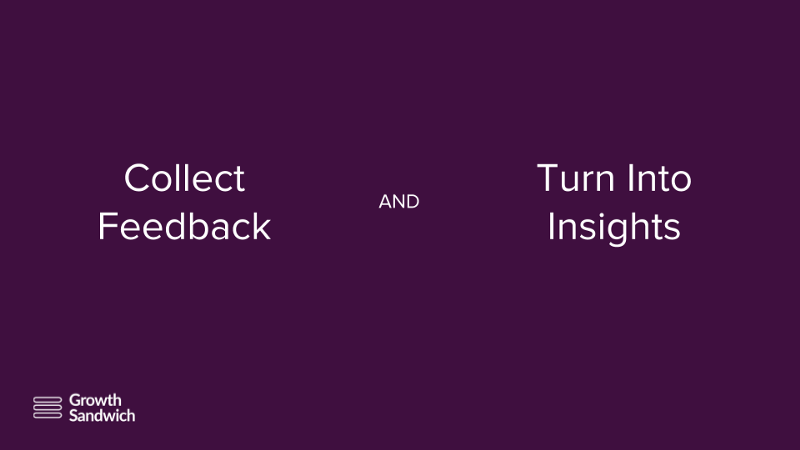 Help you create a feedback loop, based on the customer feedback that you collect. So, if you want to build and grow a sustainable business by using the Build Measure Learn Model, read on. Chapter 1: What is the Build Measure Learn Model? Let’s start things off by giving a proper explanation as to what the Build Measure Learn framework is. You can implement it regardless of your business model. 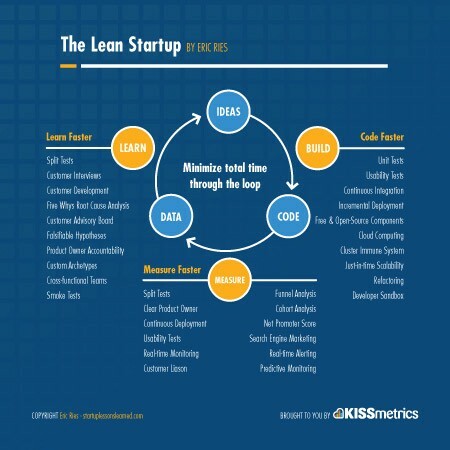 The Lean Startup methodology essentially helps businesses avoid the hassle of building products that nobody wants. And, how is it helps startup businesses? By getting a new product to the hands of the customers faster, and without any delay in product development. Simply put, this methodology helps you deliver minimum viable products (MVPs) fast, and use customer feedback to measure their success. When you know if your minimum viable product has the potential of satisfying your customer needs, you can add more product features and optimize the existing ones. The Build Measure Learn model is a scientific method of gathering feedback (customer feedback) and using that feedback to build great products. A feedback loop is an agile approach when it comes to gathering customer feedback and translating into customer needs and product features. For now, let’s focus on the Build Measure Learn model and its three pillars. A point that I want to highlight here is that the quality of your MVP is correlated to the reach of your business, and your stage you are in. This means that an early-stage startup that hasn’t found a product-market fit yet can build something that is not so great. However, a company with thousands of paying customers, can’t afford to launch an MVP that is not stellar, or that doesn’t cover an existing need of its paying customers. 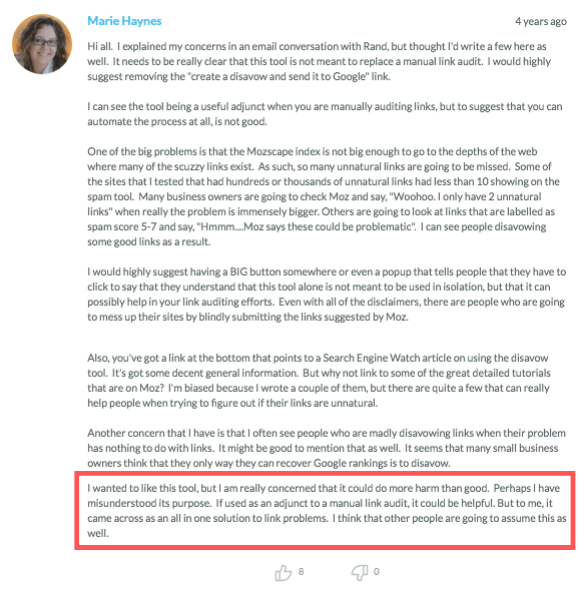 For example, back in 2015, MOZ launched the Spam Score, a new feature that was supposed to give a score on websites, based on certain attributes. These attributes could potentially indicate a website that you don’t want to get a link from, or if you got, you might want to disavow. If you know the story behind the launch of this new feature, you’d know that this particular launch was not so successful. What I am trying to say is that when your company has a wide reach, you can’t afford to make mistakes with your MVPs. This is a critical step in the Build Measure Learn model. Measuring the impact of your MVP on your customers’ lives is significant. However, there is one caveat here. You want to measure ONLY feedback from paying customers, from people who put their hands in their pockets and trust you with their money. Measuring the reactions in your audience would be meaningless. This is a comment on the product launch MOZ did on Product Hunt. The best part? That the comment comes from a paying customer. Let’s move on to the third pillar. You have to learn fast and adapt fast. You shouldn’t waste time in large product development projects that stall your growth. 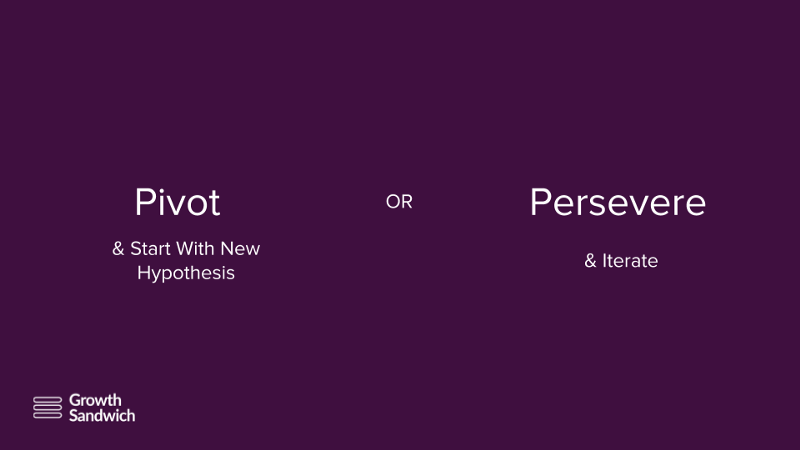 This is the phase where you decide whether or not to pivot or persevere. Building a Build Measure Learn Feedback Loop will help you avoid the guesswork, make decisions faster and adapt as you test different hypotheses. Let’s see how you can do it. Are you wondering how to build a Build Measure Learn feedback loop? You have to focus on the actual needs of your customers, and not on what you think that your customers’ needs are. Choosing the shortest product development paths. Don’t get me wrong: that doesn’t mean you need to build a minimum viable product for every need your customers have. After all, that’s not the point of building MVPs. The question is: how can you build such a system? First of all, you have to enhance your customer relationships. You have to get one step closer to your customers. And, “no,” a simple Net Promoter Score survey through Email is not enough. Especially when you want to build a new product or new product feature, you should ask your customers opinion first. Is this something your customers need? Is it a problem they have? How do they deal with this problem? How does their day look like when they deal with the issue? Most businesses build products without asking these questions. And, that is a huge mistake. However, even if you ship a new product, you should do it to a few of your customers first (early adopters), and based on the feedback, ship it to all your customers. You can use a tool like appear.in to do that, and even record your user testing sessions for further analysis. Moving on, you might want to set up alarms to monitor brand mentions across the web. Let me illustrate this with a simple example. 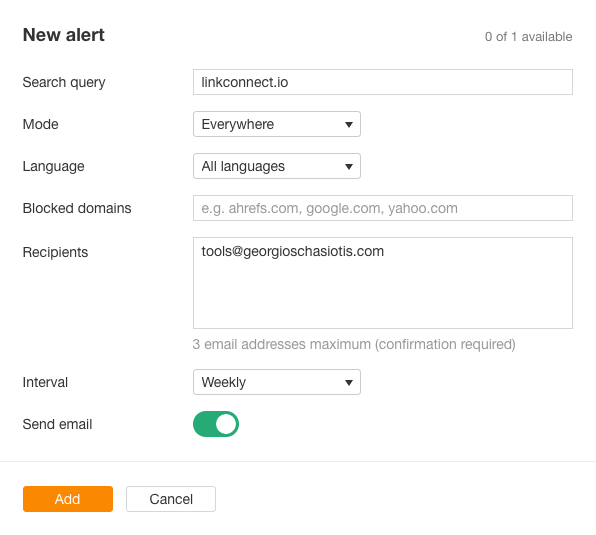 So, you might want to set up custom alerts for mentions of your company online. 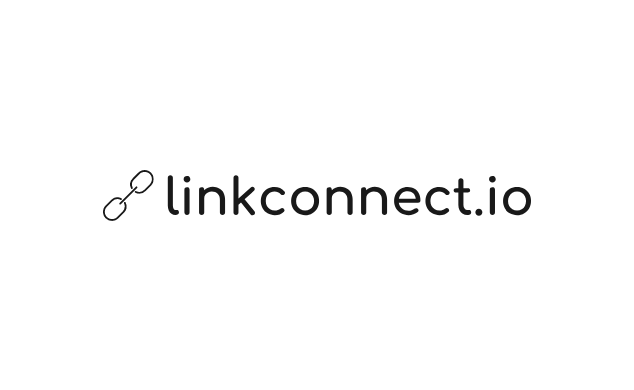 And, Zapier to automate everything. Get close to your customers, ask them about your product, ask for feedback, and do that before you launch anything. Why building a learning loop matters? Because it helps you make smaller commitments that don’t require much time or heavy development for your product team. Minimal viable products shouldn’t be “minimally viable,” as Rand Fishkin correctly puts it in his book. A feedback loop can help you test new ideas, in an agile way. It’s an integral part of the Lean Startup methodology, and one of the most critical ones. Customer feedback should be your guide in everything that you do. The customer feedback you collect is invaluable, and you have to set up a mechanism that constantly help you gather feedback, that you can later transform into insights. This will help you understand how to make your customers happier, and how to approach potential customers more effectively. As you can understand, developing a feedback loop for your business is crucial. In fact, customer feedback is the most valuable asset that a business can have. Most founders and marketers don’t pay attention to that. Customers talk, but they don’t listen. But, not satisfying your customer needs is a surefire way to failure. So, as I hope it is evident by now, the Build Measure Learn model is everything you need. Because only by listening, you will be able to run and grow a sustainable business. Have you ever used this model for your business? If yes, what were the results?